Tral (Jammu & Kashmir): An encounter has broken out between security forces and terrorists in Gulshanpora, Tral. According to ANI, 2-3 terrorists are believed to be trapped. An exchange of fire is also underway. More details are awaited. Meanwhile, earlier this week, the police has dismissed the personal security officers of a Congress legislator after four rifles went missing from his official residence. The weapons of Member of Legislative Council Muzaffar Parray’s personal security officers (PSOs) went missing from the guard room of his official residence in Jawahar Nagar area of the city on Sunday. “Four police personnel who were deployed as PSOs with senior Congress leader and MLC Muzzafar Parray have been dismissed from service for dereliction of duty and unauthorised absence,” a police spokesman said. The police had, on Sunday, said there was no armed intrusion into the official quarters, but called it negligence on part of the security personnel. Parray was not at his official residence at the time of the incident. 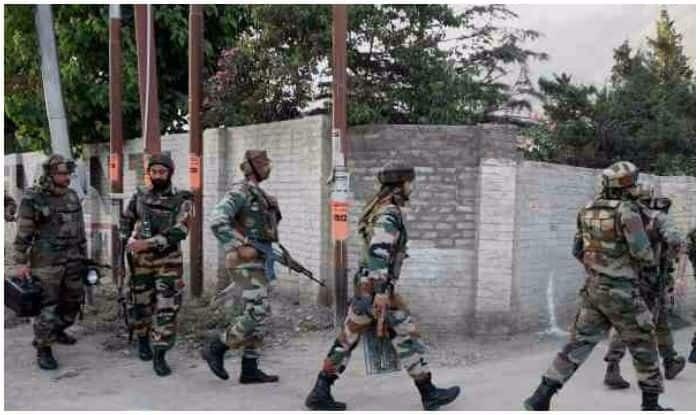 On December 15, eight civilians were in clashes between the locals and security forces in Pulwama district after three Hizbul Mujahideen terrorists were neutralised in an encounter during the wee hours. A soldier was also martyred in the exchange of fire in Sirnoo village. In protest against the killing of the Hizbul terrorists, locals took to the roads and pelted stones at security forces. Meanwhile, internet services remain suspended in Pulwama. Furthermore, the rail services between Kashmir Valley and Bannihal town in Jammu region were also cancelled.